T-Mobile and HTC’s new flagship phone the HTC Amaze 4G has already been fully rooted thanks to those sneaky developers at XDA. Not only that but it’s as simple as can be using an easy one-click-root method, nothing difficult here. Until today they only had a temp root method that didn’t last but now we have a full permanent root method for you to give a try below. Do take note that your bootloader must be unlocked or the method below will just be another temp-root. You need a fully unlocked bootloader to achieve permanent root. While the Amaze 4G isn’t listed yet at the HTCdev.com/bootloader site for unlocking via the new method, it will still work and you can head there to officially unlock your device, then head back to XDA and get your root on. One and done, it’s as easy as that. Just unzip the files and run the root program and you now have complete freeeedom. 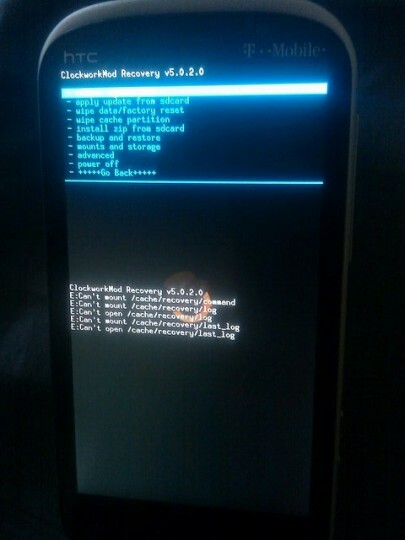 Go get rooted, wait for those recovery tools to start flooding in, and your custom roms are just hours away. Enjoy!